Off to my sewing area I went today with grand ideas of making major progress on the last few items to finish the polka dot top, starting with inserting the crochet lace trim and attaching the sleeve facings. Only there was no crochet trim to be found. My first suspect was Sewing Assistant Teacup. Does he look guilty to you? I looked under all the furniture in the bedroom, and all I could find was about a dozen Nerf darts. Teacup LOVES those things. But, alas, no crochet trim. I felt a little guilty blaming Teacup with no evidence, so my current theory is that I accidentally threw it away with some minor scraps. So, I regrouped and inserted the invisible zipper in the left side. I was relieved to find out you actually can insert an invisible zipper even if you have sewn the rest of the seam. It’s not easy, but it can be done. Even though the result is no better than with the skirt (I still didn’t bother to iron the zipper beforehand. ), I’m happier with it. 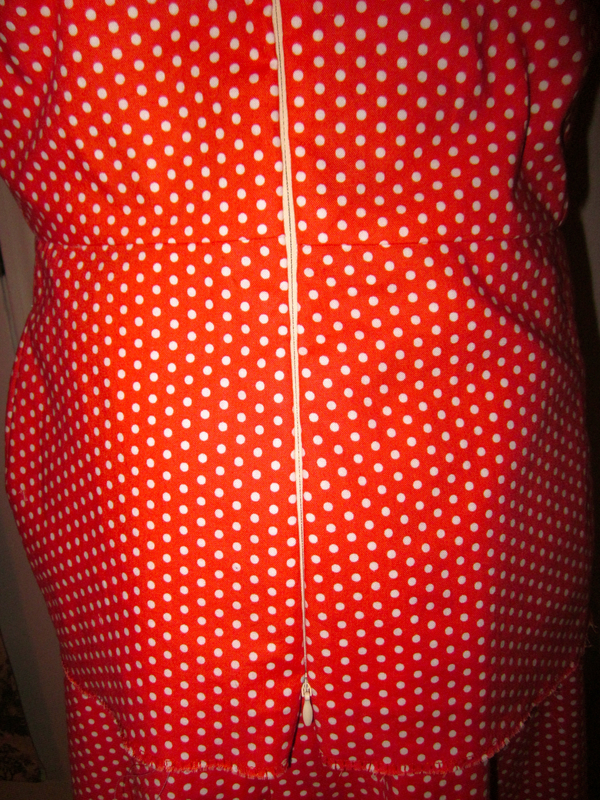 But I think that’s just because I was a little worried the waist seam was tight, but the pin fit was deceptive. With the zipper in, it’s fits perfectly. Note to self: Pick zipper color like thread color. A little darker is better than lighter. Then I overcast the hem allowance, and had just enough thread, with some sneaky bobbin-changing, to finish the edge all the way around. But then I was completely out of coral thread. So, I called it quits on sewing for the day. 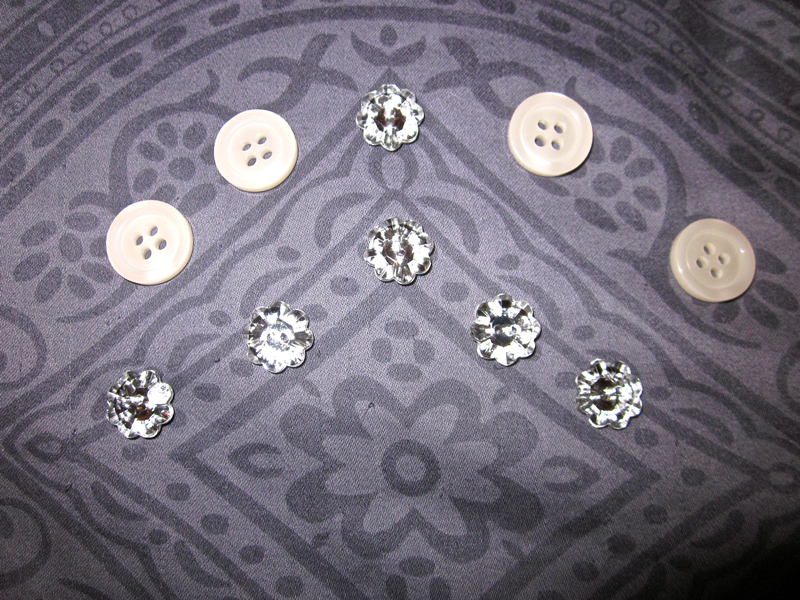 The sparkly ones will look awfully good on a blouse — soon, I hope. 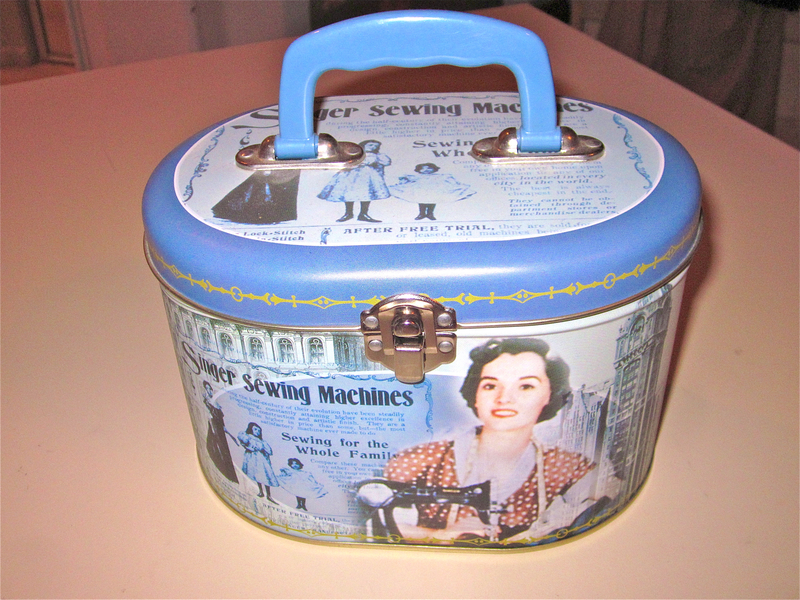 I love faux vintage sewing tins — no rust! So now that I’m out of thread AND trim, I’ll be heading to JoAnn’s to replenish both before I make any further progress on this project. But the next project is a silk blouse. I got a little adventurous and decided to prewash the silk in my washing machine on the “handwash” cycle. I figured if I prewashed in the machine, I could wash it in the machine when it’s done. It’s in there right now, making me nervous. Wish me luck. Thanks! 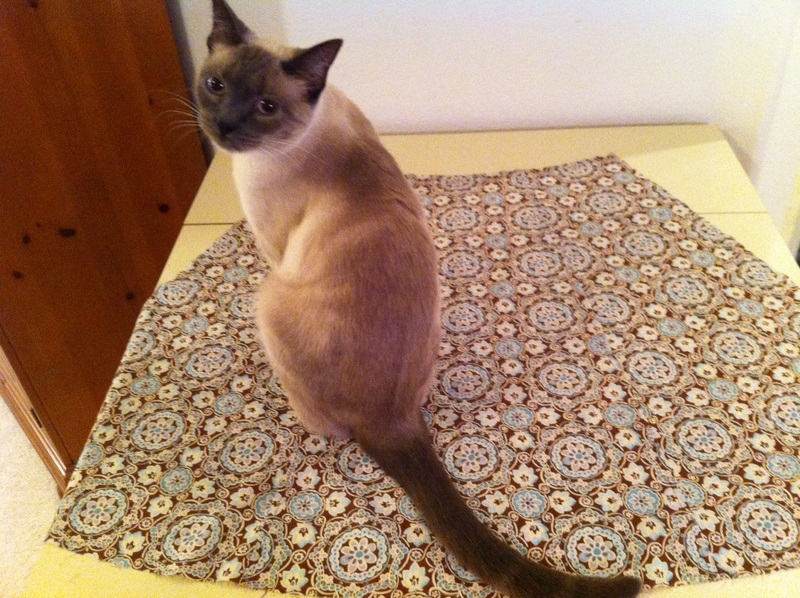 Teacup is my first Siamese, and he’s very sweet. He has the most pitiful meow, which I understand is typical. I was finally ready for another cat about four years after my first cat passed at age 14. I went to the SPCA looking for a girl kitty, but Teacup was making eyes at me. It’s a love match!